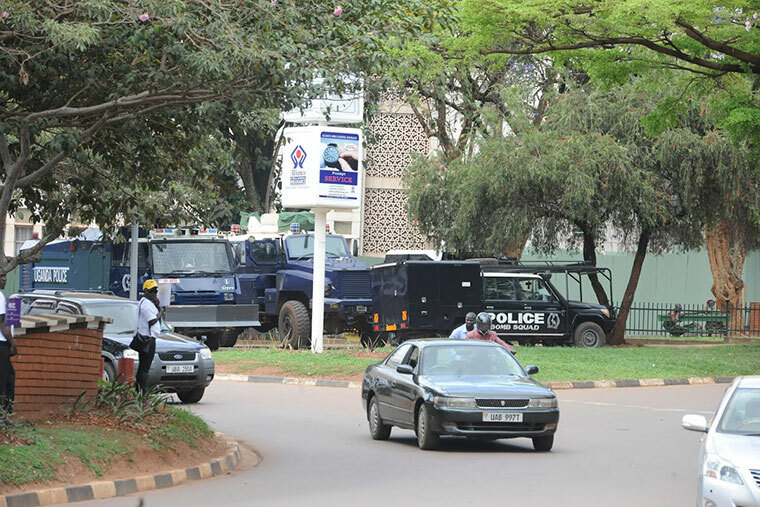 Unnerved by the escalating political tensions, authorities have thrown a heavy security blanket around the parliamentary buildings to stave off possible clashes between the promoters of the lifting of the presidential age limit and those opposed to it. Large numbers of armed, watchful civil and military police, backed by covert surveillance personnel patrolled the grounds as well as Parliament and Nile Avenues yesterday. Positioned at strategic points were water cannon trucks among other crowd control gear, bringing a warzone feel to the House precincts and surrounding areas. Their presence has been interpreted as a not-so-subtle show of force by elements of the security forces, that those opposed to the lifting of the presidential age limit say is meant to intimidate them. At the end of back-to-back meetings, which drew in Deputy Speaker of Parliament Jacob Oulanyah, Clerk of Parliament Jane Kibirige and police chiefs, it was resolved that access to Parliament be restricted to the public. A day earlier, the two Parliament heads met Kampala Metropolitan Police commander Frank Mwesigwa as security agencies increased their presence around Parliament. On Tuesday morning, the Inspector General of Police, Gen Kale Kayihura also went to Parliament for a closed door meeting with the parliamentary leadership, further heightening the siege mentality. Kayihura arrived shortly after 10am and hurried into Oulanyah’s office on the 5th floor of the Eastern wing of the parliament buildings. He emerged an hour later to talk to his troops deployed around Parliament even as spontaneous acts of civil disobedience played out around the legislature. These security meetings were held in anticipation of the tabling of a motion seeking to amend the Constitution and removal of the presidential age limit – a hugely divisive proposal. The proposed amendment has stoked anxieties at a Parliament where some MPs, especially those opposed to it, are inviting the public to pour into the House to follow the proceedings live. In a brief chat with journalists, Kayihura defended the heavy deployments. “The deployments are because some people want to disrupt the peace of Parliament, Parliament must transact business in peace [but] everybody is marching. They want to march on Parliament without even clearance from Parliament and police,” Kayihura said. He did not take any questions. The Observer, however, understood that in his meeting with Oulanyah, it was decided that the public gallery be closed to the public. This was part of the instructions that Kayihura was overheard giving to his commanders at Parliament. The police have since become very suspicious of people standing in groups anywhere near Parliament. On Monday, four MPs opposed to the lifting of the constitutional presidential age limit were summoned to record statements at police over statements they made last week. The MPs; Muhammad Nsereko (Independent, Kampala Central), Theodore Ssekikubo (NRM, Lwemiyaga), Allan Ssewanyana (DP, Makindye West) and Barnabas Tinkasiimire (NRM, Buyaga West) were required to report to the Criminal Intelligence and Investigations Directorate (CIID) Kibuli yesterday. Mark Paul Odong of the police’s directorate of criminal investigations said in the letters that the MPs are accused of offensive communication. Ssekikubo and Tinkasiimire skipped their appointment with the police because they had “more important issues to attend to at Parliament” leaving only Nsereko and Ssewanyana to go to Kibuli for interrogation. They were later released without charge. Opposition MPs criticised the police summons, arguing that they are unlawful since what MPs say within the precincts of Parliament is privileged and protected by guarantees of immunity under Chapter 6 of the Constitution. “The arrest of MPs can’t be accepted, no amount of intimidation, no level of deployment shall scare us,” Kawempe South MP Mubarak Munyagwa said at an opposition press conference. “I want to tell my NRM colleagues who are pushing for this amendment; if you don’t trust your martial arts tactics, better get off this campaign. We are serious about this, we shall sort ourselves out one on one should that bill be tabled. You defeat us on the floor, we shall follow you, we know where you sleep,” Munyagwa said. The opposition caucus questioned the heavy deployment around Parliament. “We are disappointed that the police is being used to address these political issues. In my constituency, a young man has died in police cells because he was opposed to the amendment. When I was walking into Parliament, I saw another man chained to the fence being brutalised by the police,” Denis Lee Onguzu, the Maracha South MP, said. At a parallel press conference yesterday, Igara West MP Raphael Magyezi, the designated mover of the anti-age limit bill, told journalists that the police came in after he filed a complaint. “I was receiving text messages threatening me and my family, so, I ran to police and reported the case,” Magyezi said. The Igara West legislator, a ruling party member, is the chief mover of the controversial amendment, which once passed will clear the way for President Museveni to cling onto power after he tops the current age limit of 75 year ahead of the next election in 2021. “This is not a Magyezi motion...I hear threats left and right but I would rather hear the arguments; I would love to see Ugandans move away from the culture of threats and insults,” Magyezi said. 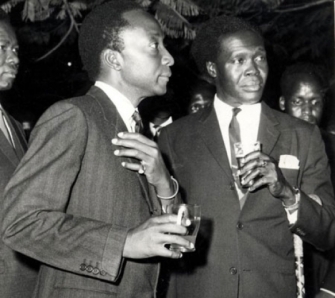 Kabaka Muteesa II ku kisaawe kye nyonyi Entebbe nga akomawo mubuwanganguse obusooka 1955. 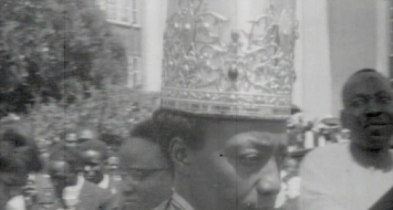 Kabaka Muteesa II nga ali ku mikolo e Bulange okwaniriza Obwetwaze bwa Buganda nga 8 May 1962. EDWARD FREDRICK WALUGEMBE MUTEBI MUTEESA II. Bassaabalangira be baaali Kayima e Kkaaliiti, Kayima Mpadwa, Lukongwa ne Kayima. 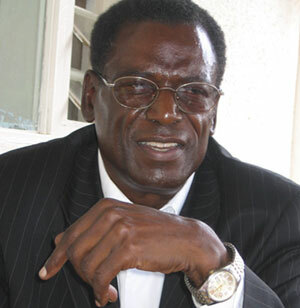 Bakatikkiro be, be baali Wamala wa Mmamba, Nsibirwa wa Nvuma, Mikayiri Kawalya Kaggwa mutabani wa Sir Apollo wa Nseenene, Paulo Kavuma wa Ngo, Mikayiri Kintu wa Ngo ne Jowaasi Mayanja Nkangi wa Mutima. Bakadde be, be baali Daudi Ccwa II ne Irene Drussila Namaganda wa Nte. Abe Ngabi bamukaayanira era bagamba nti Rev. Kayizzi yafuuka kitaawe lwa kumutwala Gayaza okusoma. Kabaka bweyamulonda okumuwasa, Rev. Yali takyayinza kukyusa kyama ekyo. Kyokka Natoolo eyadda mu bigere bya Namasole ye mwaana wa Rev. Kayizzi ggeregere. Emyaka gyeyafugira 22/11/1939-19/11/1969. Yazaalibwa 11/9/1924. Yasabirwa mu Kkanisa e Buddo so si Nagalabi mu 1940. Yalayizibwa n’atuuzibwa ku Namulondo nga 19/11/1942. Era gwe mwaka gweyaviira e Budo. Yaggya omukono mu ngabo nga 19/11/1969 e Bungereza nga wa myaka 45. Naye bamuwa butwa. 1) Damali Kisosonkole wa Nkima. Yazaala Dorosi Nnaamukaabya Nassolo ne Katabaazi, ne Henry Kalemeera. 2) Sarah Kisosonkole wa Nkima. Yazaala Ronald Muwenda Mutebi, ne Richard Walugembe Bamweyana. Damali ne Sarah baaluganda, baana ba Ssekkuuma Kisosonkole. 3) Keeti Kamulegeya, wa Nkima. Yazaala Sarah Kagere ne Agnesi Nabaloga. 4) Catherine Karungu, Munyankole. Yazaala Dayana Teyeggala. 5) Winnie Keyihangwe, Mumbejja wa Nkole. Yazaala David Kintu Wasajja. 6) Eseza Nambi wa Mmamba. Yazaala Kimera Mutebi Boogere ne Zaalwango Stiva. 7) Luankyamagulu wa Mpeewo. Yazaala Kateregga Habati. 10) Omumbejja w’e Tooro Kaako Rwanchwende yazaala Dinah Kigga Mukalukidi. 11) Omkutooro Nesta Rugumayo, yazaala Robert Kiweewa, ne Kimera Masamba. 12) Lubuga yazaala George Ggolooba. 14) Eriyosi Nalwoga wa Mmamba, yazaala George Micheal Ndawula. Muteesa yalya Obwakabaka nga 22/11/1939 ng’ akyasoma Buddo nga wa myaka 15. Baalonda ba Regents basatu: Martin Luther Nsibirwa, Katikkiro, Lawuli Kiwanuka, Mulamuzi, ne Serwano Woofunira Kkulubya, Omuwanika. Oluvanyuma Kawalya Kaggwa yalya Obwakatikkiro era naye n’afuulibwa Regent okuva 1945 okutuuka 1948. Muteesa II ayimiridde kumukono ogwa kkono 1963. Obutafaanana kitaawe. Muteesa yagaana okussa omukono gwe ku kiwndiiko ky’ateetabaamu kukola. Ekyo kye kyamuleetera omuttawaana. Olutalo lwa Muteesa luno lwatandikira ku kijjulo ky’amatikkira ga Queen nga 2/6/1953 mu East African Dinner Club. 1. Mu 1948 East African High Commission yatondebwawo ng’Olukiiko lwa Buganda terutegeezebbwa. 2. Ensi ya Nyasaland yakakibwa mu Federation nga tebagyeyagalidde..
Muteesa yamaliriza ebbaluuwa ye nti, “N’olwekyo ffe obutafuna bizibu ebyo, twagala olunaku lw’okwefuga lulondebwe, naye nga tukolagana na Foreign Office gye twakola nayo endagaano eya 1900, so si Colonial Office gye twawalirizibwa okudda mu 1902. Ffe tetubangako Colony”. MEEYA WA MUNISIPAALI Y’E LUBAGA JOYCE NABBOSA SSEBUGGWAWO; Kye tuliko sikitenda. Abantu baffe babaggalidde mu mayumba, ekitebe kyaffe ekya FDC kyawambibwa ate n’ebimu ku bintu byaffe byatwalibwa. Gavumenti egamba nti yawangula lwaki etuuka mu mbeera y’okussa abakulembeze b’olowooza nti tebalina buwagizi mu mbeera y’okubaggalira! Tusaba twewale embeera eyaliwo ku Gavumenti ezizze zivaako. Ebiseera ebyayita ng’abantu babaggalira Karamoja, ne kati ekiriwo kifaanana n’ebyaliwo. Tusaba embeera eno ekome. Gwe nga Omukazi Omuganda okimanyi nti ensi Buganda terina Ndagaano na muntu yena oba ensi yonna kugifuga. Nga efugirwa mukalulu, oba mumagye, oba mukutegeera enyo okusinga Abaganda (backwardness).....nebilala. Gwe number emu, kubanabyabufuzi abaliwo ennaku zino, alina kampeyini nti gundi nawe gundi muje mutufuge e Buganda. Buganda mwajifuula Mukazi Omwenzi Anonya Bba Nga Tamalaako. Gavumenti eteese n’abooludda oluvuganya. Tosobola kumalako ng’okuumira abantu mu mayumba, okubagaana okulinnya ennyonyi, wadde okutambula okugenda okugula ebintu. Eggwanga terisaana kudda mu mbeera ya Gavumenti ezaaliwo emabega. 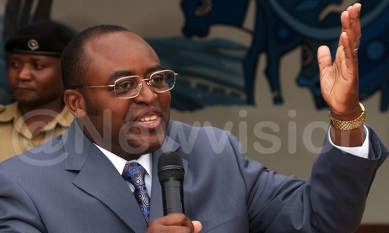 Omukulembeze we nsi ya Rwenzururu, Charles Wesley Mumbere. POLIISI eyongedde okuggula emisango emirala ku Charles Wesley Mumbere, Omusinga wa Rwenzururu nga bagyongera ku gw’obutemu ogwamuvunaaniddwa wiiki ewedde mu kkooti e Jinja. Omwogezi wa poliisi mu ggwanga, Andrew Felix Kaweesi yagambye nti yadde Mumbere yatwalibwa mu kkooti ku musango gw’obutemu n’asindikibwa ku limanda mu kkomera e Kirinnya, wakyaliyo emisango emirala nga n’egimu gyazziddwa ng’akasambattuko akaabaddewo omwafiiridde abantu abasoba mu 70 tekannabaawo. Yagambye nti egimu ku misango emirala egigenda okuvunaanibwa Omusinga Mumbere kuliko okugezaako okutta, obutujju n’okwonoona ebintu. Kaweesi yategeezezza nti emirambo egyaziikiddwa ng’abooluganda balemeddwa okugyawula baasoose kugiggyako butoffaali (DNA) obugenda okugeraageranyizibwa ku booluganda era abanaaba bagyetaaze giziikulwe mu limbo y’enkambi y’amagye e Kasese gibaweebwe. Yagambye nti emirambo egimu okubulwako abantu abagitwala kyandiba ng’abattibwa baali bapangisiddwa okujja okulwana nga bateeberezebwa nti abamu baava mu DR Congo nga n’abalala baava mu disitulikiti eziri ewala ne Kasese ne bayingizibwa mu lubiri lw’Omusinga. Bannaddiini abeegattira mu Inter- Religious Council nabo baayingidde mu nteekateeka ey’okutabaganya Abakonjo ne Gavumenti, obutebenkevu e Kasese bukomewo. Eggulo embeera mu kibuga Kasese yabadde nzikakkamu era n’akatale akakulu akayitibwa Central Market ne kaggulwawo abasuubuzi ne baddamu okukola. Ssentebe w’eggombolola y’e Nyamwamba, Saidi Muhindo yagambye nti ng’oggyeeko omusaayi ogwayiise mu busambattuko, bafiiriddwa ebintu bingi omuli emisolo, bizinensi okwesiba n’obulambuzi okukosebwa. Mbadde akola obutunju bwentalo nawangula yasinga okwonona ebintu, okutta abantu abangi era oluvanyuma nawamba governmenti nensi. Kibi nyo nti bwotawangula bwotyo gwe omanya nti okwatibwa nowozesebwa omusango negukutuuka ne munvi. Treason nottibwa.